Got myself a brand new drone! I’m sure you guys know that I am not your typical photographer. Nope! Even though I do spend most of my time on celebration taking pictures with my DSLR camera, the most awesome perk of my job is the aerial photography. 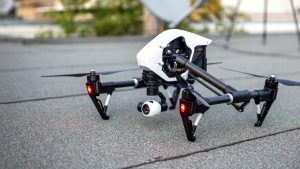 Yup, you read that correctly – I do aerial photography… If you haven’t heard about it yet, it relies on these new awesome tech gadgets called drones. Professional photographers like myself mount their cameras and then fly around the celebration while taking awesome aerial pictures. The end product looks awesome since it gives you a whole new perspective. Now that you know a bit more about aerial photography, I would like to introduce you to my new aerial photography drone – DJI Inspire. It’s a pretty expensive little fella that cost me slightly over $2k. Yup, it’s incredibly expensive… but it has the performance that completely justifies its huge price tag. It is pretty big and has a great little feature that makes its wings skew upwards once it gets in the air. Not only does this look cool but it also allows it to have more responsive controls and fly even smoother in midair. Mine came with Zenmuse X5R gimbal and 4K camera. It’s a great combo but I am already looking to purchase another one which is compatible with my Nikon D500. Well, that’s about it for my first ever blog post. I have another one already written, I just need to format it a bit before posting it here as well. So anyways, I just wanted to show you how thrilled I am because of my new drone. I am thinking of gifting my old one (DJI Phantom 2) to my niece Amanda who, to be honest, reminds me of myself when I was her age. So young, innocent and rebellious. Amanda, if you’re reading this… I’m coming home next weekend and I’m bringing you a gift!